The work consists of jewelry pieces, in which glass elements designed by Mieke Groot and executed by the Dutch lamp-blower Edwin Dieperink combined with printed metal beads, also by her design, made at the ‘Village des Arts’ in Dakar by Moussa Thiam are brought together by her in various exiting combinations. Matching-metal boxes and commissioned behind glass paintings by Malainy Sow complete the final work. At the end four artists, two Africans and two Europeans, are involved in this project. Since 2001 Mieke Groot has regularly visited Senegal. Her fascination for the behind or reverse glass painting brought her to this African country, where reverse glass painting is one of the most prominent art forms. The reverse glass painting in Senegal originated in the nineteenth century. It is not clear how this art ended up in Senegal. The most plausible theory is that pilgrims, returning from Mecca, introduced this art form. The first subjects that the artists used were of a religious nature. Soon this changed direction. At that time, photography was still a very expensive process, and people could only afford very small pictures. In order to enhance the photograph, animals and flowers were added around the picture. Later the photograph became the source of inspiration. Portraits of women and children were painted from an original photograph. Today there is a wide range of subjects. The Senegalese painters portray daily life, give warnings and try to educate people. During her first visit to Senegal, in 2001, she met the painter Malainy Sow. Like many of the Senegalese painters he also, besides his own work, made commissions for other people. When Mieke Groot and Richard Meitner (American artist, her partner in work) were asked a few months later to design a series-object for a glass collectors society, they invited Malainy Sow to work with them. His studio is situated on Marché Kermel, an African arts and crafts market, in the centre of Dakar, Senegals capital. On that same market Meitner and Groot discovered an amazingly talented metalworker. There are many metalworkers there, who primarily make functional objects out of tin/steel. As with every craft, the quality of the final results can differ very much. It was immediately clear that Moussa Thiam was one of the most precise and ambitious craftsmen, and for many years now both Meitner and Groot have been working together with him. With very simple means, Moussa creates work of the most amazing quality. 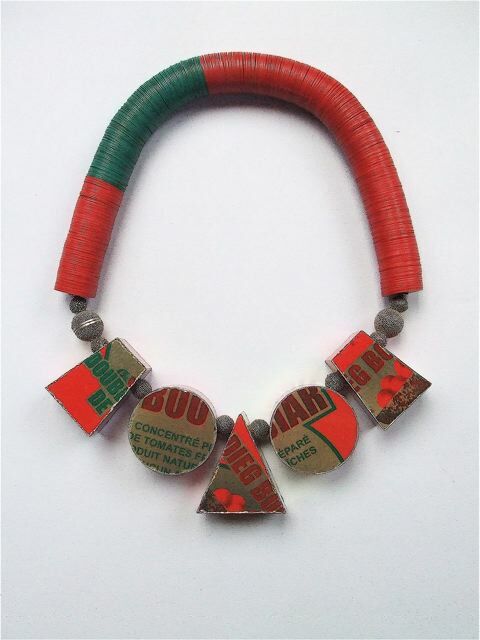 Mieke Groot's first study was in the Jewelry Department at the Rietveld Academy in Amsterdam. After her final examination she continued her study at the Academy in the Glass Department. In 1976 she founded, together with Richard Meitner, a glassblowing studio in Amsterdam and for many years she focused only on making glass objects. In the last ten years however she has again been making small collections of jewelry pieces, in which she uses lamp-blown glass beads in combination with beads of many different materials. 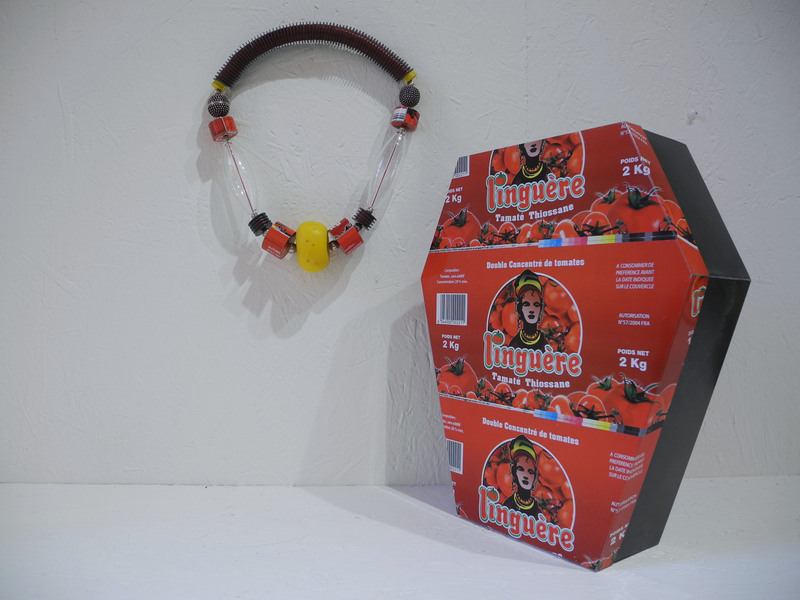 Caterina Tognon is presenting her works in glass since the ninethies; this is however the first time that the gallery exhibits the jewels of Mieke Groot.